American Health Council is proud to welcome Yimy Puerto, BSN, RN to its Nursing Board. Currently a Registered Nurse at BCEI, Puerto offers his clinical prowess to the healthcare industry. Puerto brings eleven years of industry experience and specific expertise in the emergency care, critical care, and trauma to the vast clinical background of the Nursing Board. Puerto’s journey to a nursing vocation progressed naturally, supplemented by his interesting coursework and dedication to nursing once he began. A man of integrity and fierce motivation, Puerto immigrated to the United States and painstakingly devoted himself to his successful nursing career. With diligent academic perseverance, he graduated from the University of Antigua with a BSN in 2012. For the past eleven years, Puerto has treated patients as an Emergency Nurse at BCEI and UMH. He thrives on the high energy in the ER, working efficiently and effectively under pressure. His deep-seated passion for the field stems from the variability of Emergency Medicine cases that consistently challenge and reinforce his clinical skills. American Health Council applauds Puerto for his self-sufficiency and leadership in his professional life. Puerto remains dedicated to the advancement of his profession. 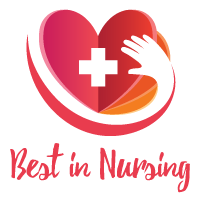 Towards this end, he actively maintains professional associations with the ER American Nursing Association and the Critical Care American Nursing Association. With eleven years of industry experience, Puerto has illustrated expert clinical skills amid a nursing career climbing towards continued future success. Determined to excel as a leader in his field, Puerto hopes to earn an MSN within the next two years and refine his geriatric care capabilities. Puerto’s passion for helping others shines through his personal work as well. He does volunteer geriatric work and selflessly donates his time and resources to conduct volunteer work with the homeless population in Florida. Outside of these altruistic activities, Puerto spends his time developing valuable personal relationships with his family and friends. American Health Council is proud to include Yimy Puerto, BSN, RN in its network of exceptional healthcare professionals. Eleven years of industry experience & specific expertise in the Emergency Care, Critical Care, & Trauma. Immigrated to the United States & devoted her life to helping others. Volunteers her time to helping the homeless & geriatric population.